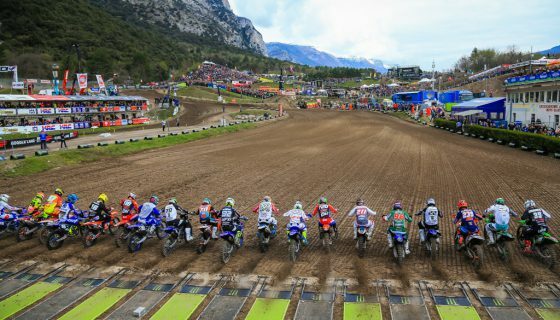 The FIM Women’s Motocross World Championship’s 3rd round of 2018 played out over 2 days on the German circuit of Teutschenthal. Altherm JCR Yamaha’s Courtney Duncan faced tough competition and a challenging track this Saturday and Sunday but provided a masterclass for her competitors taking double race wins. 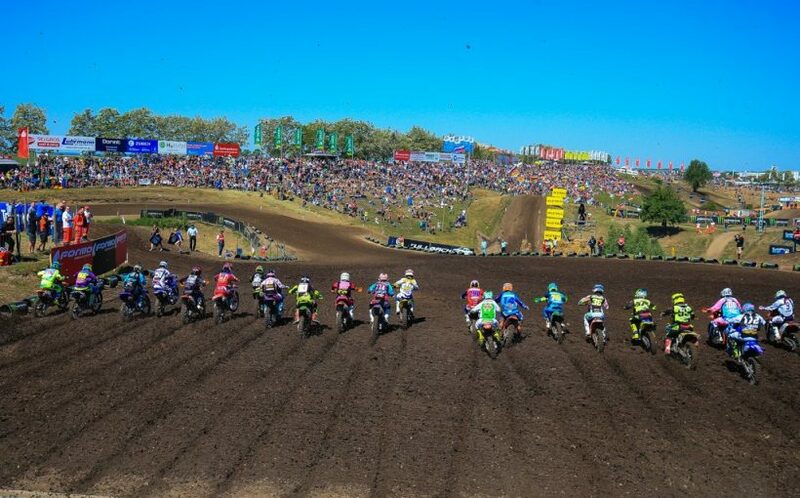 The WMX round of Germany was held along side the MXGP of Germany’s MXGP and MX2 races on the classic motocross track with tens of thousands of fans witness the action. 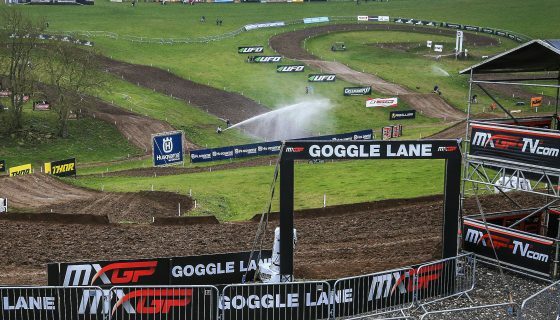 Coming into the weekend Courtney Duncan led the Championship with 2 rounds complete and at the drop of gate for Race 1 on Saturday she would take the Holeshot. 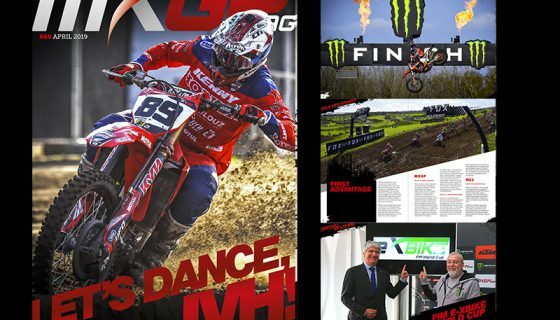 Duncan battled with her fellow Yamaha mounted competitors such as MXFONTARACING Yamaha’s Kiara Fontanesi. 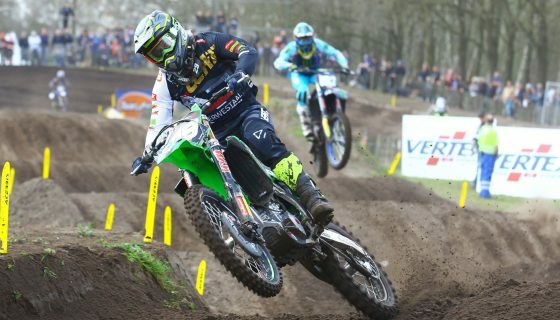 Fontanesi, who is the defending WMX Champion, took the lead from Duncan before the end of the first complete lap. Duncan chased Fontanesi for 10 laps as Nancy van de Ven was running in third. The German fan favorite was of course Larissa Papenmeier who maintained 4th position every lap from the start just ahead of fellow German Stephanie Laier. Back at the front the pair of title contenders battled on their way through lapped traffic but when the two lap board came out, Duncan made a pass to win the race almost 7 seconds ahead of Fontanesi. Race 2 started with Duncan again out front but Fontanesi back slightly further unable to put in an early challenge. Splitting Duncan and Fontanesi on the first lap was Nancy van de Ven while Papenmeier was again 4th. Fontanesi passed van de Ven for 2nd on lap 2 and 2 laps after that Papenmeier moved into 3rd. The #85 of van de Ven then lost 2 more spots to both Sara Andersen from Denmark and KTM Silver Action’s Amandine Verstappen. Nancy van de Ven was able to get back two positions but remained unable to pass Papenmeier which would ultimately decide the final spot of the podium. Duncan took her second race win of the weekend this time by more than 15 seconds over Fontanesi. In the overall standings Duncan and Fontanesi clearly went 1-2 after identical race scores but Papenmeier took the final spot on the podium after a tie in points with van de Ven but a better race 2. WMX Race 1 Top Ten: 1. Courtney Duncan (NZL, Yamaha), 24:43.856; 2. Kiara Fontanesi (ITA, Yamaha), +0:06.902; 3. Nancy Van De Ven (NED, Yamaha), +0:24.605; 4. Larissa Papenmeier (GER, Suzuki), +0:28.482; 5. Stephanie Laier (GER, KTM), +0:41.834; 6. Natalie Kane (IRL, Honda), +0:51.847; 7. Sara Andersen (DEN, KTM), +1:13.936; 8. Anne Borchers (GER, Suzuki), +1:17.148; 9. Shana van der Vlist (NED, KTM), +1:26.074; 10. Justine Charroux (FRA, Yamaha), +1:43.155. WMX Race 2 Top Ten: 1. Courtney Duncan (NZL, Yamaha), 26:02.489; 2. Kiara Fontanesi (ITA, Yamaha), +0:15.343; 3. Larissa Papenmeier (GER, Suzuki), +0:24.404; 4. Nancy Van De Ven (NED, Yamaha), +0:29.633; 5. Sara Andersen (DEN, KTM), +0:57.355; 6. Shana van der Vlist (NED, KTM), +1:16.723; 7. Stephanie Laier (GER, KTM), +1:16.883; 8. Natalie Kane (IRL, Honda), +1:33.947; 9. Anne Borchers (GER, Suzuki), +1:39.798; 10. Amandine Verstappen (BEL, KTM), +1:47.063. WMX Overall Top Ten: 1. Courtney Duncan (NZL, YAM), 50 points; 2. Kiara Fontanesi (ITA, YAM), 44 p.; 3. Larissa Papenmeier (GER, SUZ), 38 p.; 4. Nancy Van De Ven (NED, YAM), 38 p.; 5. Sara Andersen (DEN, KTM), 30 p.; 6. Stephanie Laier (GER, KTM), 30 p.; 7. Natalie Kane (IRL, HON), 28 p.; 8. Shana van der Vlist (NED, KTM), 27 p.; 9. Anne Borchers (GER, SUZ), 25 p.; 10. 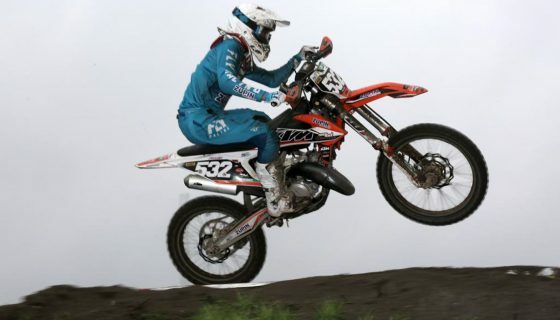 Justine Charroux (FRA, YAM), 21 p.
WMX Championship Top Ten: 1. Courtney Duncan (NZL, YAM), 140 points; 2. Larissa Papenmeier (GER, SUZ), 125 p.; 3. Kiara Fontanesi (ITA, YAM), 118 p.; 4. Nancy Van De Ven (NED, YAM), 118 p.; 5. Stephanie Laier (GER, KTM), 88 p.; 6. Natalie Kane (IRL, HON), 81 p.; 7. Amandine Verstappen (BEL, KTM), 78 p.; 8. Anne Borchers (GER, SUZ), 69 p.; 9. Sara Andersen (DEN, KTM), 66 p.; 10. 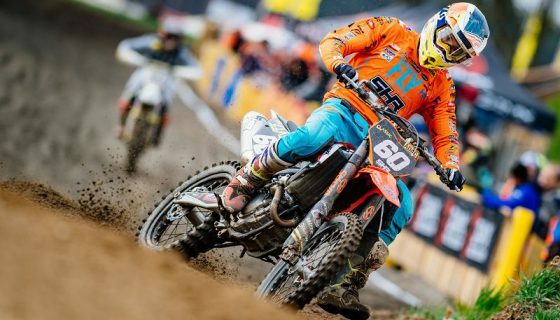 Shana van der Vlist (NED, KTM), 62 p.
WMX Manufacturers: 1. Yamaha, 147 points; 2. Suzuki, 125 p.; 3. KTM, 102 p.; 4. Honda, 81 p.; 5. Kawasaki, 26 p.; 6. Husqvarna, 8 p.